As you can see Year 3 looked fantastic on world book day. As part of our Extreme Earth topic we learned how Volcanoes are formed and what the different parts of them are called. We then created our own and experimented with making our own lava for our very own eruption. 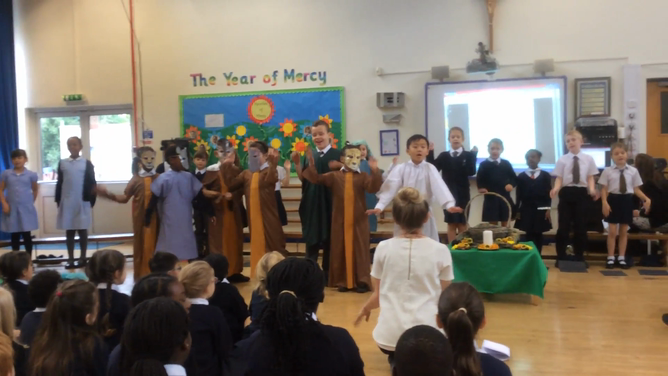 We celebrated the feast of Harvest during our assembly and we performed our chosen Hymn `Our God` for the rest of the school and visitors. Today we shared our learning about the Creation Story from Genesis with our parents and other classes.